21 x 20", 20hp steam engine built E. Sheperd & Co., Buffalo, NY, 1864. 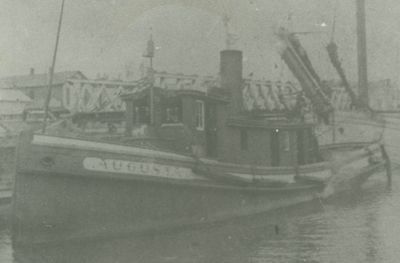 1909, Dec 29 Registery closed "vessel was burned at Port Dalhousie on 12-1 and was totally lost." Owned Daniel McGrath. 1899 Owned H.H. Helliwell, St. Catharines, ONT.